While some exercises such as clap push-ups are easy for beginners, advanced routines such as crucifix push-ups have particular demands. 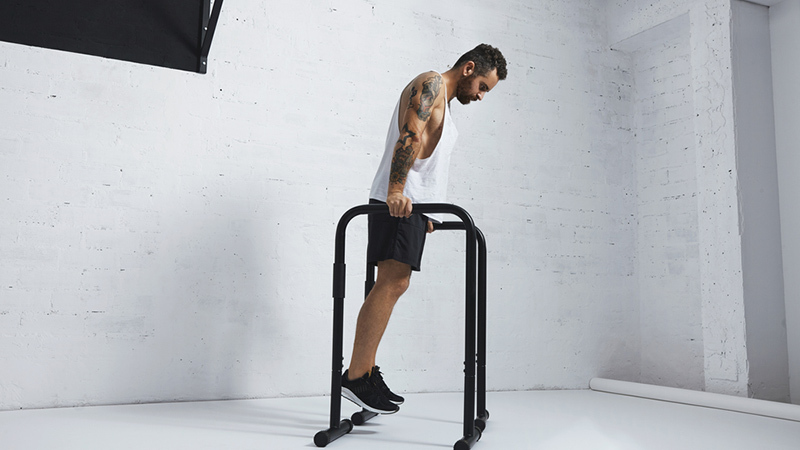 With calisthenics, finding the perfect workout routine depends on your strength-to-weight ratio just as much as it hinges on your dedication. If you are looking to amplify your chest muscles, here are some routines to guide you along the way. Good old push-ups are an excellent way to chisel your chest, and as a bonus, your shoulders and triceps benefit, too. Place your arms on the floor and straighten your body so that you’re body is in a straight line with your toes on the floor. Bending your elbows, exhale as you lower your chest nearly to the floor, and inhale as you push back up. This exercise is ideal for beginners (who can perform these on their knees, if necessary) but can also come in handy for those in advanced stages. Start with regular push-ups, 12 to 15 reps for three sets. 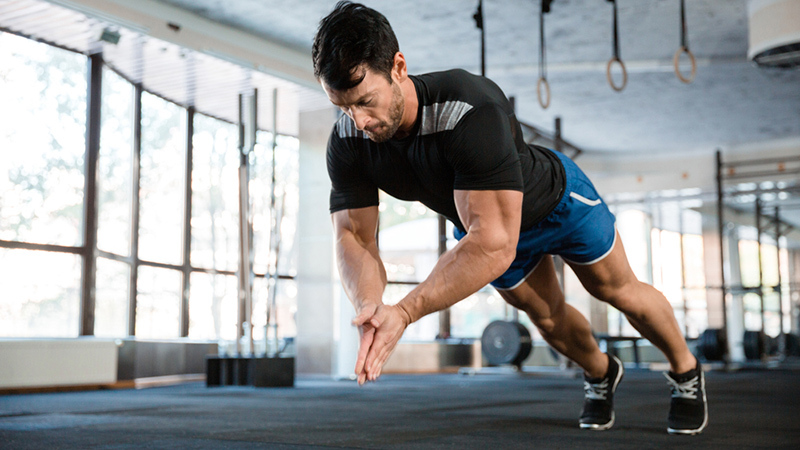 Pseudo push-ups build the perfect foundation for advanced exercises, such as the planche. Assume regular push-up position and find your balance, then preposition your hands so that your fingers are pointing out behind you, and your elbows are tucked in near your ribcage. From that position start doing the push-ups, remember to exhale as you go down and inhale as you come up. Twenty reps for 2 sets are enough before proceeding to the next exercise in this routine. Handclap push-ups are an excellent way to build your chest and arm muscles and get a cardio boost to boot. Their procedure is similar to regular push-ups. The only difference is, you exalt more pressure when coming up as if you’re jumping with your hands then clap before reassuming the push-up position. 15 reps for two sets are enough and should be followed by a one minute break. After the handclap push-up, find an elevated surface to place your legs and position your hands on the floor. From this position, do 20 decline push-ups for 2 sets. After the usual one-minute rest, perform 20 reps for two sets of diamond push-ups. To perform a diamond push-up, assume regular push-up position then bring your hands close enough that your index fingers and thumbs form a diamond or triangle. Proceed with the push-ups from this position. After the diamond push-ups, take a minutes rest then proceed to incline push-ups. Incline push-ups are the opposite of decline push-ups. Place your hands on an elevated position with only your toes touching the floor. 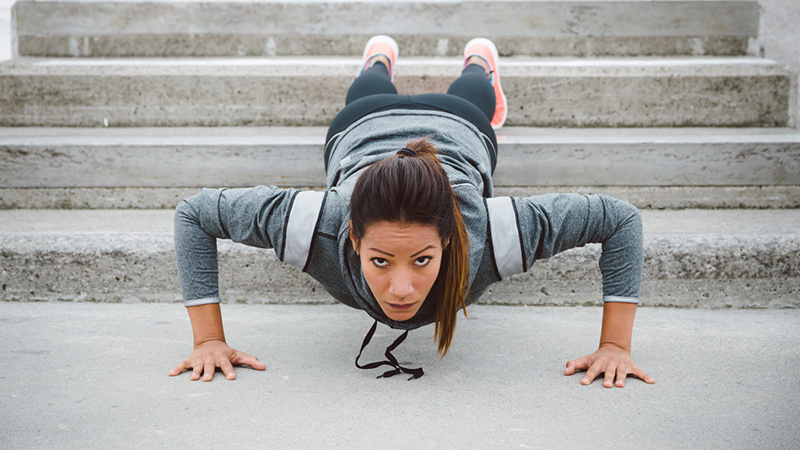 Perform 50 incline push-ups for three sets before a minutes rest. 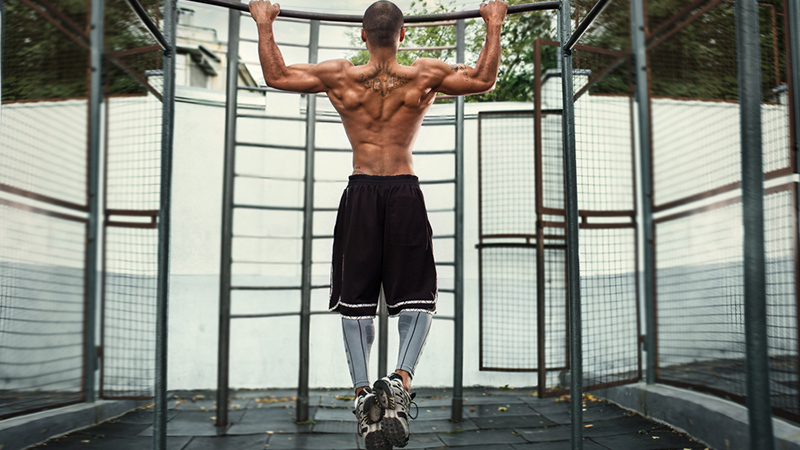 Pull-ups are among the few upper-body exercises that target multiple muscle groups. To perform a wide pull-up, you need a bar strong enough to hold your body weight positioned above your head. Grip it with your arms stretched out wide, suspend your body, then start going up until your chest touches the bar and back down as you inhale and exhale respectively. Perform 10 to 15 reps for 3 reps. Boost the intensity of this exercise by hanging a dumbbell/kettlebell on your feet or by strapping a weight plate to your midriff. 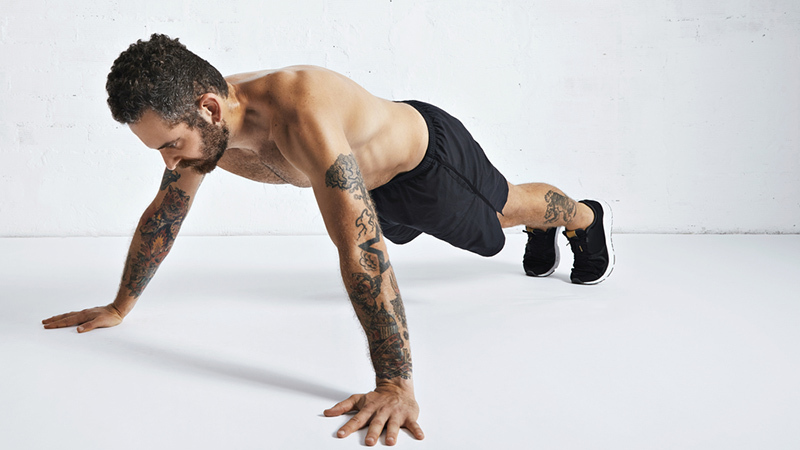 After a one-minute break, proceed to wide push-ups. Position your hands slightly wider than shoulder-width, almost as wide as you can without causing too much tension. Lower your chest until it almost touches the floor while inhaling then exhale as you come back up. Ten reps are enough for two sets before proceeding to dips. Dips require parallel bars; they help increase your strength and shape your chest muscles. Grab one bar from the back then place your legs on the other. Bend your arms to lower your body until your shoulders are below your elbows then lift your body back up to the starting position. Your elbows should be slightly flared out, and the leaning angle should be at around 30 degrees for effective dips. Perform 15 reps for three sets to conclude this chest muscle building routine. Beginners who have tried and found this exercise draining can consider using a dip assist machine. You will be doing it on your own within a short time. Also, if you are having trouble suspending your legs, get a spotter to help hold them in place. For those who are more advanced, use a weight belt to add weighted plates and increase the stretch created by this routine in your chest.